A woman stands on a street corner wearing only a barrel in a stock photo about financial destitution. Women suffering financial hardship is nothing new and an important challenge for our society to address. The reasons behind women finding themselves in financial hardship are many…divorce, discrimination, medical adversity and more. 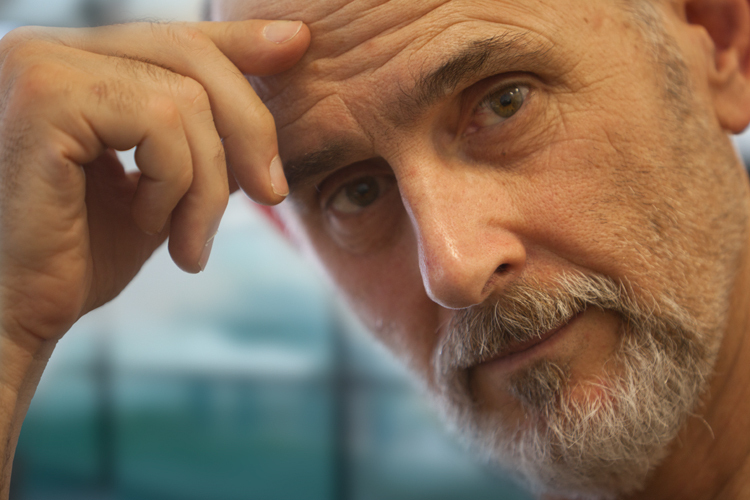 But how do we visually show such challenges for women…and actually, for men as well? An iconic symbol of financial ruin and destitution is that of a person wearing only a barrel held up by suspenders. That image comes from the days of the great depression, but still gets its message across quickly and clearly. Putting a woman into that barrel creates a stock photo of financial adversity for women that is clearly and powerfully stated, but also adds an element of humor that can make the message just a tad more palatable, more memorable and more effective. 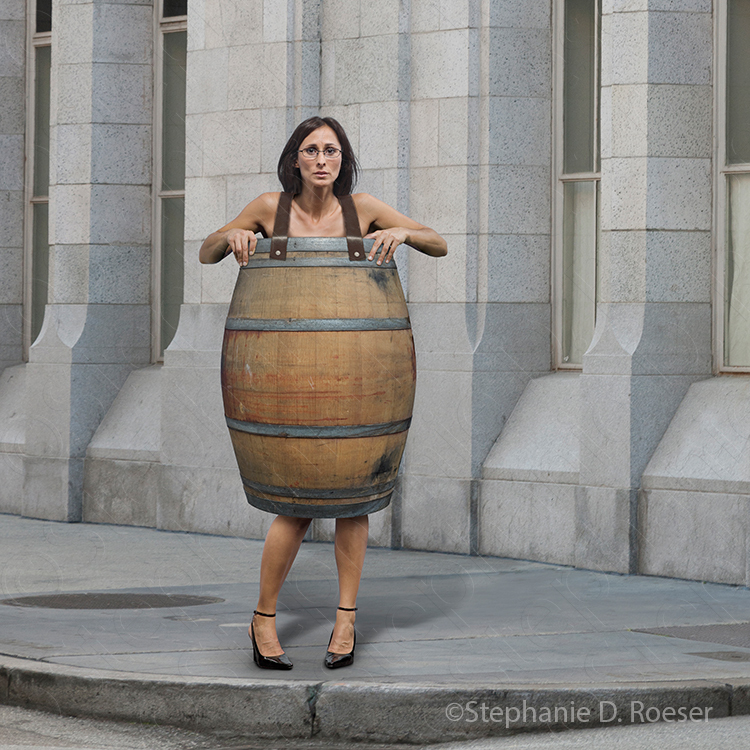 It was with the above in mind that my partner, Stephanie D. Roeser, created this stock image of financial hardship…a woman wearing nothing but a barrel as she stands on the street corner of a large city. By having her standing at a corner she introduced the idea of choice and by having the setting be a city she introduces the element of business into the image. While it is natural to tie this image to women’s issues, it can also apply to men as well. In fact, anybody who has hit rock bottom financially can be represented by this “woman wearing only a barrel” stock photo. The idea of a person wearing only a barrel with suspenders first became an iconic symbol in the 1930s when numerous cartoonists used that visual to represent bankruptcy and destitution. Stephanie created the image with ample copy space for including headlines and text. Because the image has a ton of potential uses for everything from post –divorce poverty to challenges for women in the workplace to tax ramifications, she felt it best to put the image into the Royalty Free collection with Getty Images.